I’m in! 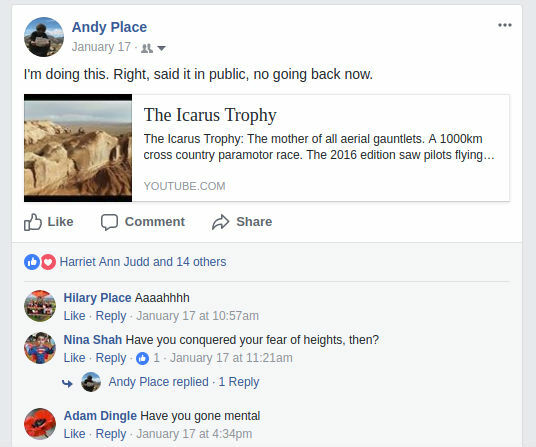 – Where is Andy? 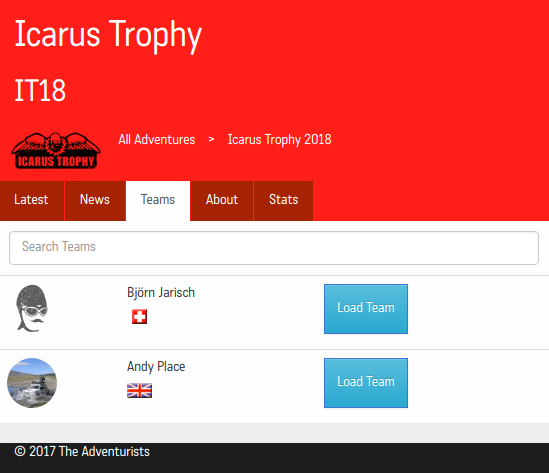 Back in January I told the world (well, at least the part that was listening) that I’d do the Icarus Trophy. Ten months later I’m (childishly) excited to announce that I’m signed up to the 2018 edition. Entrant number two, no less. It’s going to be, dare I say, epic and should breathe a bit of life into this blog.